Failures like this are not supposed to happen. 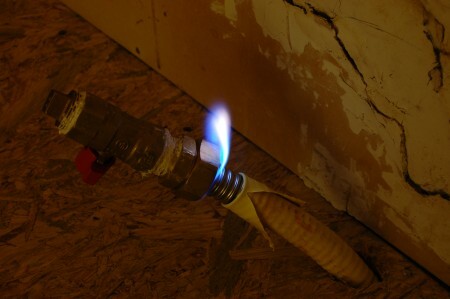 I had a long rant about how the professional, experienced, expensive, state licensed natural gas plumbing gurus took 3 trips, 3 plumbers, 6 fittings, 10 cuttings, and 20 hours to install one damn gas line, but time is short. This problem is finally solved.